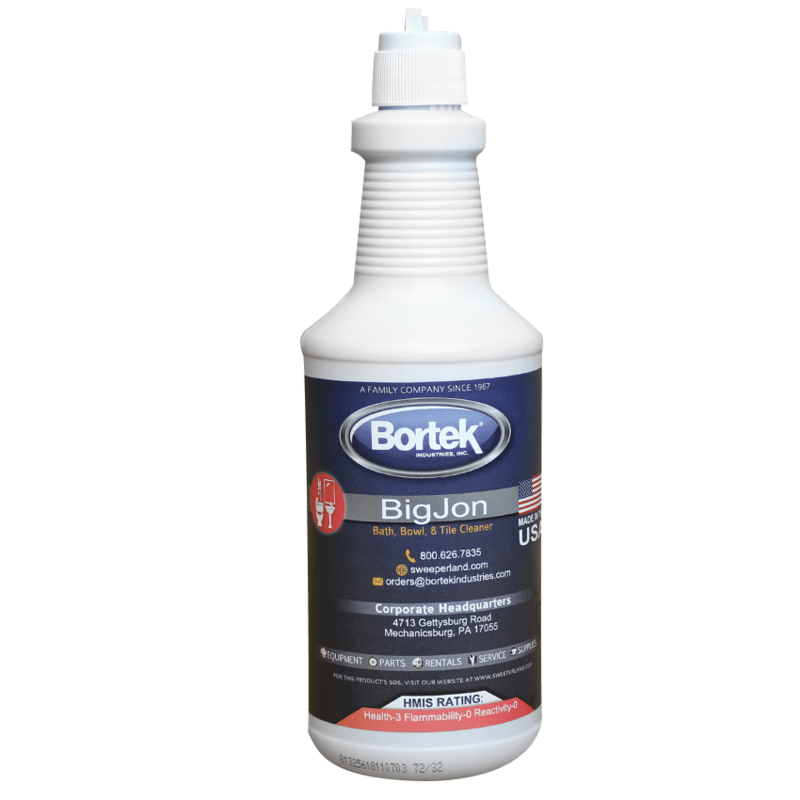 A cleaner and deodorizer designed to remove heavy build-up of water scale, soap scum, urinary salts, and rust from hard surfaces. Ideal for use in bathrooms. 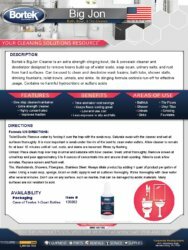 An extra strength clinging bowl, tile, and porcelain cleaner and deodorizer designed to remove heavy build-up of water scale, soap scum, urinary salts, and rust from hard surfaces. Can be used to clean and deodorize wash basins, bath tubs, shower stalls, drinking fountains, toilet bowls, urinals, and sinks. Its clinging formula controls run-off for effective usage. This product contains no harmful hydrochloric or sulfuric acids. TILE, WASHSTANDS, SHOWERS, FIBERGLASS, and STAINLESS STEEL: Always dilute product by adding 1 quart of product per gallon of water. Using a swab mop, sponge, brush or cloth; apply to wet all surfaces thoroughly. Rinse thoroughly with clean water after several minutes. 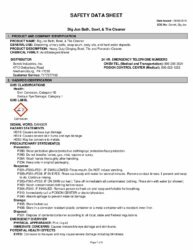 Do not use on any surface, such as marble, that can be damaged by acidic materials. Many surfaces are not resistant to acid.